After using gross domestic product, or GDP, as the universal measurement of economy for six decades, the world has begun looking beyond this gold standard for measuring a country’s economy. On May 25, 10 African countries agreed to incorporate their natural capital, or value of their natural resources, into their national accounts to make better economic decisions. 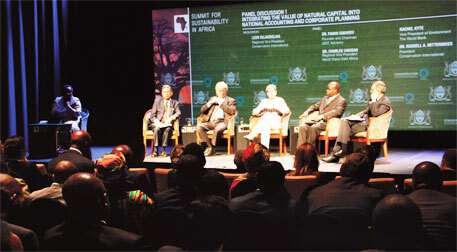 The agreement was reached at the Summit for Sustainability in Africa held in Botswana’s capital city Gaborone. It came just a few weeks before the United Nations Conference on Sustainable Development, which will be held in Rio de Janeiro, Brazil, on June 20-22 to mark the 20th year of the Earth Summit that seeded the concept of natural capital accounting. Several countries are expected to pledge to integrate the natural capital into the national accounting and planning at the conference. Though there have been dialogues to green the GDP before, this is for the first time that nations are willing to take a concrete step in this regard. The problem with the conventional model of GDP is, as several analysts point out, it is a skewed way of measuring a country’s economy. All that the GDP takes into account are the goods and services produced in a country. It does not consider natural resources that underlie this output and the generation of income. For example, when a country exploits its forests, the revenue earned from timber reflects in its GDP, but the ecosystem services of forests like carbon sequestration and erosion prevention, are not taken into account. This makes development unsustainable. “GDP is not a perfect measure of economy. We need to change it,” says T C A Anant, chief statistician of India, who is currently working on the framework for natural capital accounting in the country (see ‘Natural capital accounting will nott help reduce poverty’). India is one of the few countries that opposed GDP as the universal way of measuring economy at the time of its adoption. GDP had evolved during the Great Depression and the World Wars as Western countries wanted to measure their economies to plan for the wars. “It is time that natural resources should, and must, be mainstreamed to make development sustainable,” says Pushpam Kumar, chief of the UN Environment Programme’s Ecosystem Services Economics unit (see ‘India not active in accounting natural capital’). Not too many factors remain missing from GDP. But its omission of natural capital is a big mistake. Contribution from ecosystems remains unaccounted in GDP. Of this, around 80 per cent go to the poor. So, when one designs poverty eradication programme based on GDP, it is bound to fail. Natural resources are no more abundant. So, we need to know for sure how much resources we have and how much we can use. The current GDP method does not tell us how much environmental depreciation we caused to attain a certain economic growth. Policy-makers need to know this for accurately planning future development. Taking natural capital into account will help make the economic growth sustainable. The idea of natural capital accounting is to integrate the natural wealth with the conventional accounting system. Accounting provides guidance to resource use, that too in a sustainable way. Poverty eradication programmes will benefit from it as the poor depend the most on natural resources. Responses to the initiative are varied. African countries are proactive in adopting the new method. There are countries which have started seeing merit in natural capital after they faced crises. India is, however, not active in the initiative despite having the expertise. There is lack of ownership of the initiative. There are different ministries for different natural capital. Though the environment ministry is in charge of the initiative, it does not have the expertise. The Planning Commission has the expertise to do so. So, India needs direction on how to bring all these stakeholders on the same stage. Natural capital accounting involves putting financial value to ecosystem services and biodiversity, and plan the current and future development of the country accordingly. Several estimates put the value of the world’s natural capital at US $13 trillion. This is being termed as the “economy of the poorest” or the “invisible economy”, because it sustains most of the world’s poor. The World Bank last year estimated that around one-third of the wealth of low-income countries came from their natural capital like forests, protected habitat, farmland, energy and minerals. Most of the 10 African countries that pledged to incorporate natural capital into their national accounts are poor in terms of GDP, but are extremely rich in natural resources. Natural resource exploitation has peaked in these countries because of GDP-based development plans. The Gaborone Declaration reached at the summit acknowledges the limitations of GDP as a measure of well-being and sustainable growth. Efforts to green the GDP have gained momentum since 2010 when the Convention on Biological Diversity (CBD) in Nagoya, Japan, agreed that biodiversity values are to be integrated into national and local development and poverty reduction strategy. CBD has set the target of 2020 to do so. Around the same time the World Bank launched the Wealth Accounting and the Valuation of Ecosystem Services (WAVES) to promote and facilitate incorporation of values of ecosystems into national accounts. The major development came in February this year when the UN Statistical Commission approved the System of Environmental and Economic Accounts as an international statistical standard. In the 1950s it had approved the System of National Accounts that made GDP the accepted methodology to measure economy. This is for the first time that the world got a benchmark to account for natural resources. Now some 50 countries are valuating their natural capital, though partially. Countries are realising that they are growing without accounting for the resources they have consumed, says Anant. According to The Economy of the Ecosystem and Biodiversity synthesis report of the UN Environment Programme, at the present rate, deforestation would cost the global economy US $2-4.5 trillion a year by the middle of this century. It quoted that the total environmental damage by the world’s 3,000 biggest listed companies in 2008 was at least US $2.2 trillion. The importance of natural resources for long-term development is becoming evident with natural disasters getting intense and frequent. Twenty years ago, Thailand had replaced its vast mangroves with shrimp farms and resorts. Under the conventional economic measure, which does not factor in the values of mangroves’ ecological services like protection against tsunami, each hectare of mangroves (including wood and non-wood produce) fetched US $955. But using the area for shrimp farming fetched it US $10,949 per hecatre. After the tsunami battered Thailand in 2004, it applied the natural capital accounting and found that each hecatre of mangroves, in fact, gave a return of US $18,641. Similarly, after years of severe droughts, Australia has started valuating its water resources to manage the crises better. So successful it has been that now it extends the same accounting to valuate energy, land and minerals. African countries have also started seeing economic sense in using their natural resources in sustainable manner. According to non-profit Conservation International that co-hosted the Summit for Sustainability in Africa, 50 per cent of Botswana’s natural capital worth US $3.2 billion in 2000 came from non-timber forest resources that include wildlife and eco-tourism. But for long, it depended on its diamond reserve that would exhaust in the next few decades. Looking for options to diversify, it has taken up natural capital accounting to know the exact uses of its resources and potential. It is focusing more on eco-tourism, and is waiting to see a jump in its per capita GDP. Similarly, Nigeria recently based its economy on natural capital valuation that inflates its economic size by 40 per cent. In September 2010 the then environment minister Jairam Ramesh declared that India would be the first country to publish natural capital accounts. 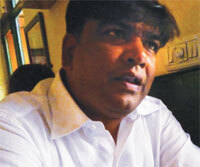 Ramesh declared this on the eve of the conference of the parties to CBD. Going by his commitment, the country should have the account ready in October this year when the CBD meets. But there has been no progress beyond launching the Economics of Ecosystems and Biodiversity project, which will focus on the development of a framework for assessing the economic value of the country’s natural capital. According to sources in the Planning Commission, there is confusion over the ownership of the initiative. “We do not communicate much with the environment ministry and they do not speak much on the initiative,” says a member of the commission. 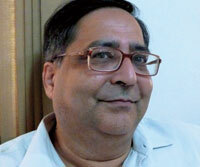 Anant acknowledges that the country is nowhere near even drafting the framework. “A natural capital account for the country is not possible before 2015,” he says. GDP does not offer complete description of what is happening in a country. It does not capture distribution of wealth. Hence, it is not supposed to be used for measuring welfare of people. GDP is based on certain assumptions. One of them is natural resources are God’s gifts. So, it does not seek to evaluate nature. Rather it sustains on extraction of natural capital. We need to improve on the GDP measurement. Natural resources are no more freely available. But natural capital accounting is a very complex process. There are disagreements over uses of natural resources at the global level. You find it at the national level as well. Natural capital accounting is not going to help reduce poverty or improve the uses of resources by the poor. The new mechanism does not take care of distribution where all our problems are. I can measure the natural capital and say, for example, that a tribal resident of Malkangir in Odisha is one of the richest in the country. But is it so? Similarly, by factoring carbon emission, the US’s GDP will come down significantly. Is the US poor? Developed countries have grown up with the GDP model and they want to retain their resource-centric development. It will not lead to rational use of resources that India has been championing. If we get both the accounting and the distribution mechanisms, we may get a partial solution to poverty eradication. Inside the country, the measure may help decide the priority. We are aware that we need natural capital accounting. But as I told you, we need to know the methodology to do so. There are two parts to it. One, we need to know the state of resource use. We have expertise on this and can be ready by 2015 with a preliminary account. But I am not sure how useful it will be for various users. The second part is valuation of these resources. It is not feasible to do this by 2015. Natural capital accounting is the most disagreed issue at the global level. Experiences of the past 20 years should convince us about that. Global Statistical Organisation has just recommended better physical documentation of resource uses. At the moment we do not have a complete description of uses. We have some data on water, forests and mineral. But it is not precise; we have aggregate data. So we are documenting the state of uses. I do not think we should set targets for such initiatives. GDP is still not perfect, even after decades of uses. It will be long before we reach the point where we can say we have the first agreed draft. The declaration by Jairam Ramesh in 2010 is not a position of the country. A country showing more GDP naturally utilizing most of the resources it possess and hence concept of green GDP perhaps should account how a national grows without causing risks to the environment. This is what now discussed in green economy concept. Accounting just natural capital serves nothing other than making us to think who can deplete more natural capital then other.